Rectangular placemats quilted and reversible by C&F Enterprises | P.C. Fallon Co. These quilted, rectangular placemats and coordinating napkins by C & F feature contemporary designer patterns and colors to accentuate any décor. 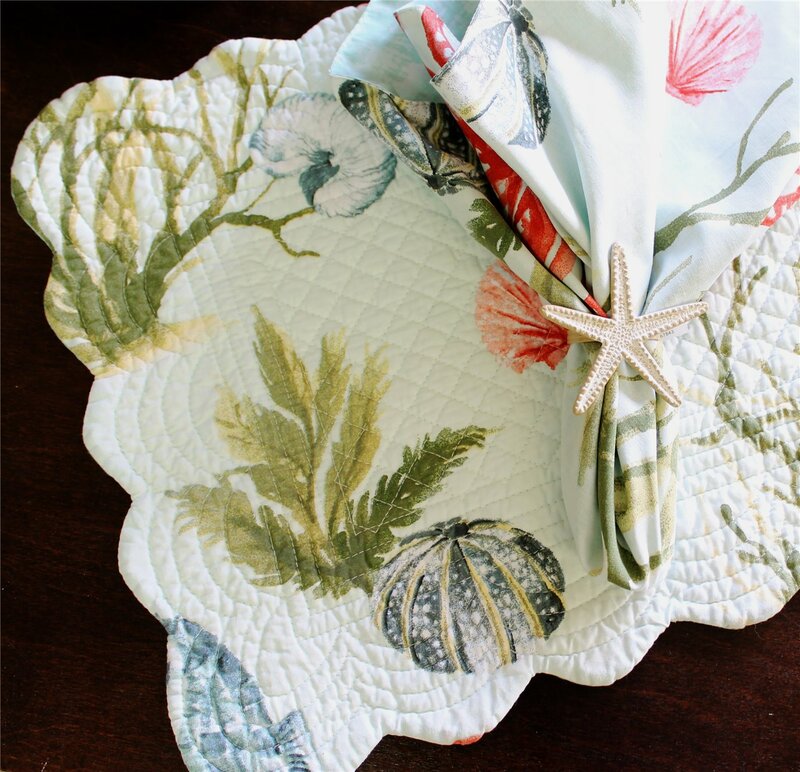 Each placemat features scalloped edging and is reversible, featuring complimentary designs on both sides to increase your tabletop versatility. Placemats and napkins are all-cotton and machine washable.